So last night Steve Ballmer launched what he hopes is a new paradigm in the mobile computing market. 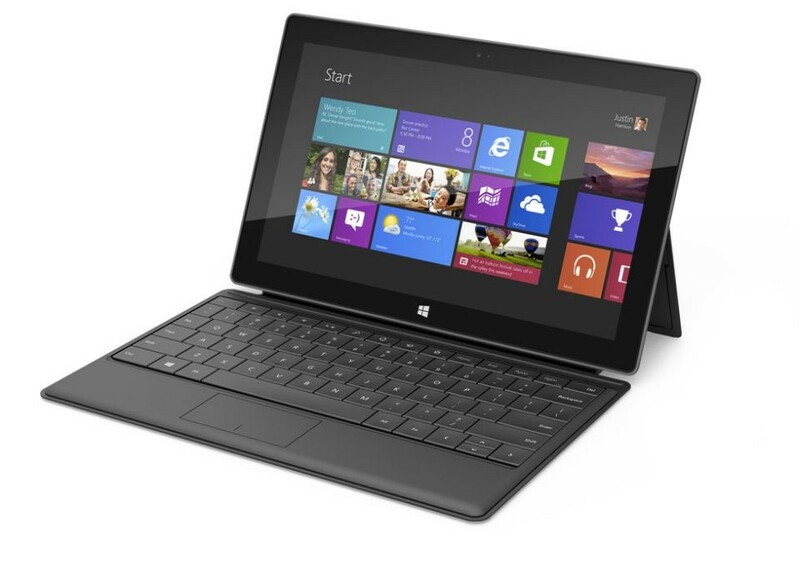 The Microsoft Surface. New technology utilising a brand new OS. Up till now, Windows 8 was getting the sort of press that Vista enjoyed, and we all know how that worked out. The case that doubles as a keyboard, and in built stand. Not content with going after the ipad market, looks like Redmond want to take a chop at the Macbook air / Ultrabook market. Timing. One week after the major announcements of the new Macbook lines, they have almost now been made obsolete, if MS lives up to it’s promises. That last sentence is key, as some of us remember the now dead Zunes and Kin phones that are littering bargain buckets and ebay penny sales. So onto the unknown. This is the stuff that can really change the game if they happen, so heres my wishlist. RT to be fully supported. It seems an age since MS released windows CE. This OS looked and felt like windows, but never really cut it as manufacturers and devs didn’t really get behind it. If MS is serious, it will need more than onboard MS office to derive value from this stream. It also needs to be corp ready and not some Windows XP home type effort with limited business use. Mobile connectivity. Despite some world appearing to exist where all hardware manufacturers seem to think wireless is everywhere, we do need 3G/ 4G to enable our laptops to find homes as door stops and table stays. The pen. Much is being made of the 600dpi pen, but for the modern user, switching between touch and pen can be a pain. The pen should only be used for freehand, and digital signatures. Everything else should be touch only, ala ipad. For real creation, people will crack out the keyboard. Talking of which…. The keyboard. The fact that an alternative keyboard is available already, and no one has been allowed to touch the one supplied, suggest a possible downer on the supplied cover. Hopefully this isn’t the case. Display port. This has to extend the desktop and not just replicate if its to be serious in business. So in short, deliver and you win, fail and you lose a generation to IOS. I’m hoping to get my hands on one ASAP, and the i;ll do a more in depth review.